We regularly visit Paul’s house when we’re in town, and it’s always like this. He and his mom always have an abundance of food on hand and they always whip it out as if it was waiting just for us. This last visit got me thinking about hospitality, and the notion that it’s something of a spiritual gift — some people seem to have a special knack for it, and others don’t. I’m not talking about “hosting,” be it a dinner party or a weekend gathering, which involves a prescribed amount of shopping and planning and cleaning and thoughtful preparation. I’m talking about people that keep homemade cookie dough in their freezer in case the neighbors drop by, people that regularly resupply their pantry so they can prepare a homemade meal for unexpected guests, people that shop and cook and manage their households in the anticipation of company and impromptu gatherings. I’m a good enough host, and an enthusiastic enough home cook, but my admiration for the gift of hospitality derives in part because it takes me by surprise — it is a way of living and being in the world that doesn’t come naturally to me. I pride myself on an economy and thriftiness that rather directly opposes the largesse and exuberance of those that possess this special gift, and their sweet-smelling homes with wide open doors. My routine is to carefully plan menus and grocery lists to ensure that everything purchased will get eaten by me and my husband and nothing extra will gather mold or slime or wrinkles. (Hah! You should see the inside of my fridge right now). I suppose there are many benefits to this (intended) pragmatic approach to cooking, but wasn’t it so much more fun to spend the weekend preceding Christmas Day baking far too many cookies than I could ever eat, knowing that they would be eaten by somebody, even if I didn’t know who? It seems that the holiday season brings out a spirit of hospitality in some of us, if only for a few weeks. 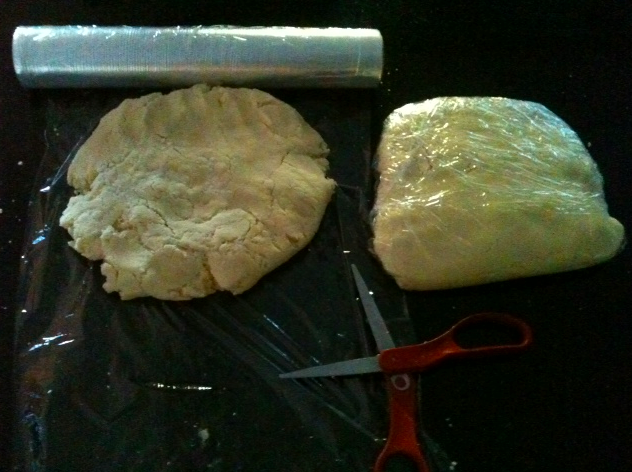 We try it on for size, baking cookies, bottling eggnog… Then January hits, and most of us return to our pragmatism. Writer or not, wouldn’t the world be a more festive, friendly place if we didn’t rely on the holiday calendar to justify spontaneous, exuberant cooking… if, come January, we approached the new year by renewing our spirit of hospitality along with our gym membership? 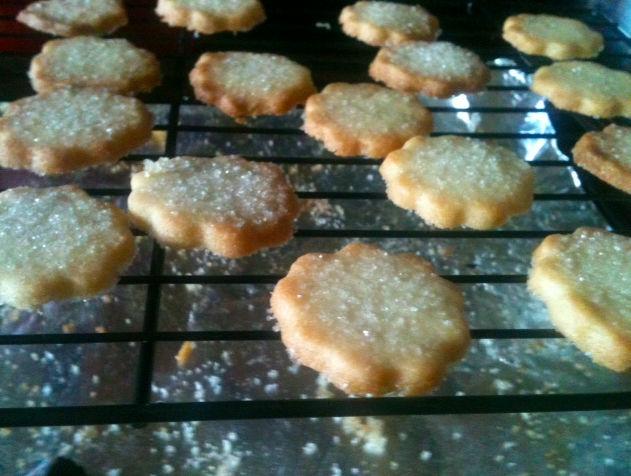 Posted in Musings and tagged cookies, friendship, holidays, hospitality, writing. Bookmark the permalink. My mom loves birthdays more than anyone else I know — other people’s, that is. More accurately, she loves the ingredients that make up a party: the people gathered together, the festivity, the memories to be made. She has spearheaded many a birthday party for her three kids, and even in my late 20s, my birthday is a thing, with gifts, cards and phone calls. 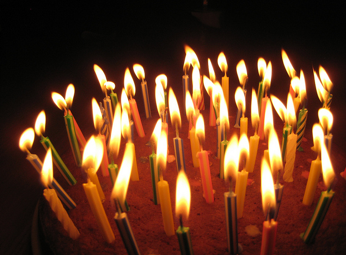 There is no stopping the birthday bandwagon — it’s a love train bearing tokens of affection, full speed ahead. Let’s talk candy: if my mom’s good cheer and ebullience resemble a star bust, I can be more of a sour patch. Think “People’s Parties,” by Joni Mitchell, which speaks to the underwhelming way that we wallflowers like to socialize — listening, watching, feeling a connection to people through observation, but loathe to do too much talking. Except on random occasions in which we suddenly feel compelled to “be ourselves,” busting out a moon walk or a rendition of “Killing Me Softly” à la The Fugees, but that’s another story. Wallflower tendencies aside, it’s mom’s birthday this Saturday, the perfect occasion to celebrate her sense of spontaneity and fun, her ease among people, her “joie de vivre.” It’s her turn to be toasted, celebrated, and embarrassed by outpourings of affection. In fact, mom’s love of birthdays represent many of her endearing traits: her demonstrative, generous way with people, her appreciation of good food and company, her creativity. Being a birthday enthusiast (and an excellent cook), mom is quite naturally a believer in birthday cakes. 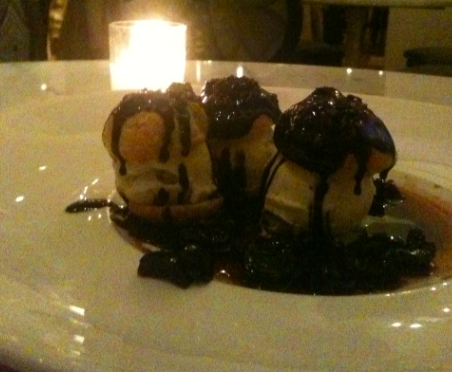 And I’m bursting — almost as much as these pistachio profiteroles — to share some of them with you. 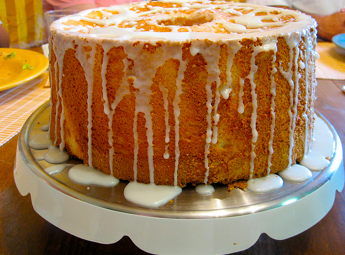 Take this lemon angel food cake by Ina Garten. Light, classic, plenty of surface area for pink frosting and sprinkles, mom would dig (into) it. 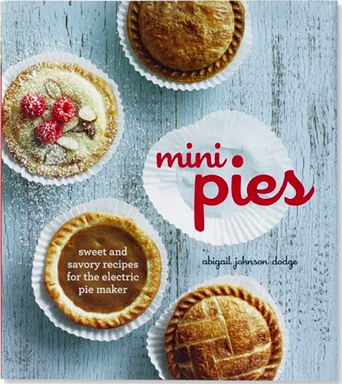 How ‘bout mini pies, mum? 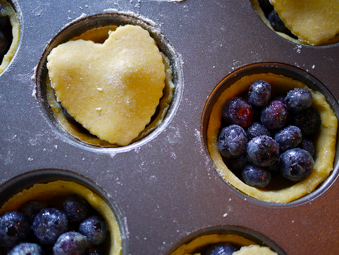 One cook’s tedium is another cook’s playground, and these precious, slightly painstaking pie-bites are the kind of drawn-out, flour-dusted kitchen project that my mom whole-heartedly embraced when I was too young to execute them well. I’m sure it demanded patience, but it had the positive effect of cultivating a genuine, fearless love of cooking on my part. 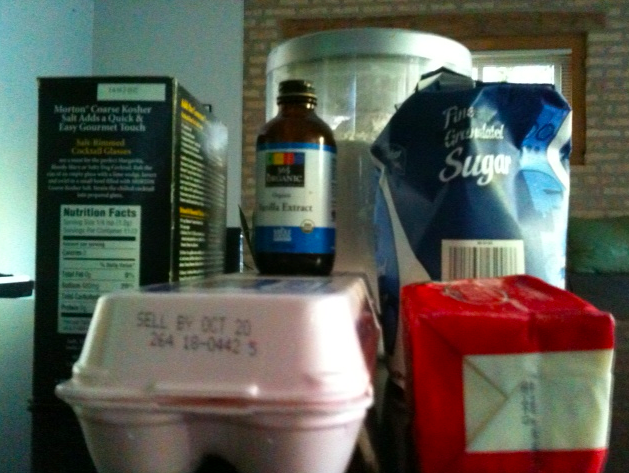 For example, we spent an entire summer of my childhood experimenting with pie and cobbler recipes, at my request. I don’t remember a single one, but to this day, pies are my favorite thing to bake. Cupcakes! She was all over that trend. 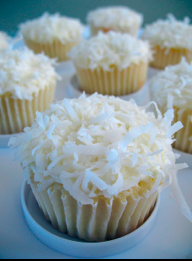 I think coconut cupcakes take the cake on being festive, classy, and birthday appropriate. I made this version by Ina Garten (who else?) for a previous birthday. 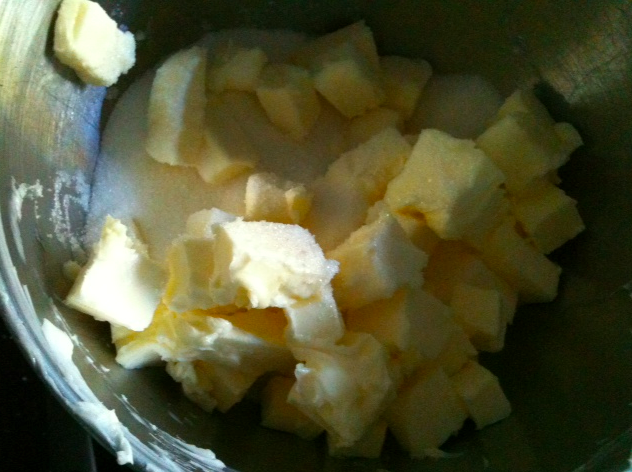 I happen to know that mom would appreciate a simple birthday sugar cookie. 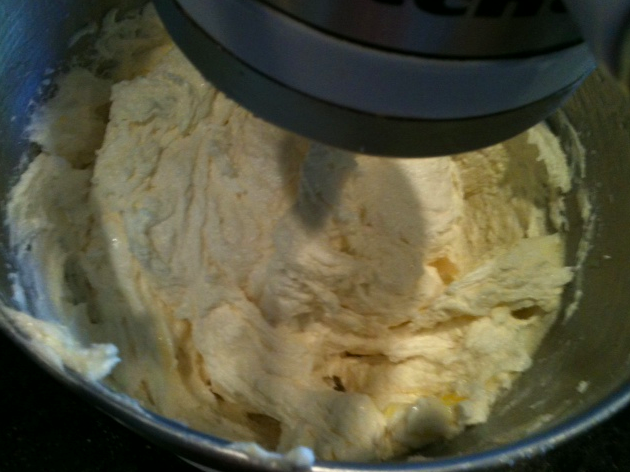 These are a Christmas tradition for us, a recipe from The Martha Stewart Baking Handbook that yields a phenomenal amount of dough. Like mom, it’s hard not to like them. They’re so darn sweet. Posted in Recipe Reviews and tagged baking, birthdays, cakes, cookies, cupcakes, moms, pies, sugar. Bookmark the permalink.